There's no need to stop at your Walt Disney World Resort hotel before you head to the Disney Parks with online check-in. Not only does this handy feature allow you to make FastPass+ reservations at 60 days in advance, but it also allows the front desk to simply text you to let you know when your rom is ready. You don't even need to stop back for a key, when you're done at the end of the night just use your MagicBand to access your room. If you've arrived via Disney's Magical Express, your bags may even be waiting for you inside. 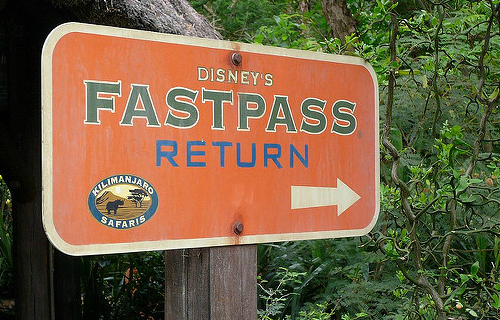 We've talked about this in our previous article, 5 Tips for Making The Most of FastPass+, but learning to use your FastPass+ to the fullest will save you a ton of time waiting in line for rides. Use a rolling FastPass+ strategy. Make your original fast pass selections for early in the day, as soon as you have checked in for your last ride, get right back on the app and make your next FastPass+ right there in queue. 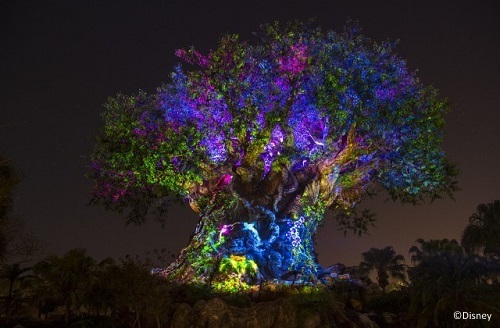 Guests staying at Walt Disney World Resort hotels get a perk in the form of time called Extra Magic Hours. These are times when the Parks are only especially for those guests. I'm a big fan of Morning Extra Magic Hours because it always seems to me like fewer people are willing to get to the Park even earlier. This makes for a great time to get in a few rides, or photos before the Park filled up with people. Evening Extra Magic Hours are nice, but the Parks still tend to be filled with stragglers that aren't staying at the Disney hotels. Speaking of those stragglers " hang back and take your time leaving the Park at the end of the night. Things other than rides tend to stay open for about an extra hour as folks filter out of the Parks. You can still step into a ride queue or order a meal a minute before Park closing, If you're a night bird use this to your advantage and hang back a bit. Yes, I know that it's nice to be spontaneous and head anywhere you want to at a moments notice. However, Walt Disney World is a huge property, and you can waste a lot of time in transit between point a and point b. You just never know how many people will be at the bus station in front of you, or how traffic is going to be. If you want to pack in the absolute most action, just stick to one park a day. I promise you that there is more than enough to do for a day in every Disney Park. If you do Park Hop, be at rope drop for Morning Extra Magic Hours at one Park, and then hop over to a different Park after the gates open. I like to take a route that is going to have the least amount of steps, so I don't waste time running back and forth across the Park. It's simple to do with a little pre-trip planning. The only reason this doesn't always work is if you are counting on FastPass+ for specific rides at a certain time of day. 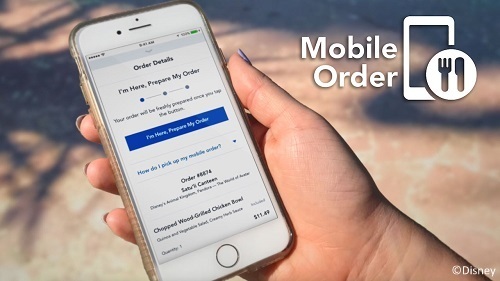 Mobile Order allows guests to pre-order and pre-pay for their food at participating Counter Service Restaurants around Disney World using the MyDisneyExperience App. Guests using Mobile Order can then bypass the ordering queue when they arrive at the restaurant and go straight to a designated Pick Up Counter to get their food. The service isn't available everywhere yet, but it's more than worth checking your app to see if you can shave some minutes off there. While you can eat at Walt Disney World without a reservation, if you want to save time, and have a ready seat at your favorite Disney restaurants you will want to be sure to book advance dining reservations. If you make your reservations for non-peak dining times the service will go much faster. If you do find yourself faced with a choice of which way to choose, go to the left. I'm not sure why it works, I think people are just conditioned to get in the line to the right. This often leaves the queue to the left with fewer people in it, which translates to a short wait time wherever the opportunity presents itself. Some of the shortest ride times happen during the parades and fireworks shows. If you don't mind missing the entertainment it can be a great time to hit some of the more popular attractions back-to-back. This is especially true at the end of the night when people tend to leave directly after the fireworks. 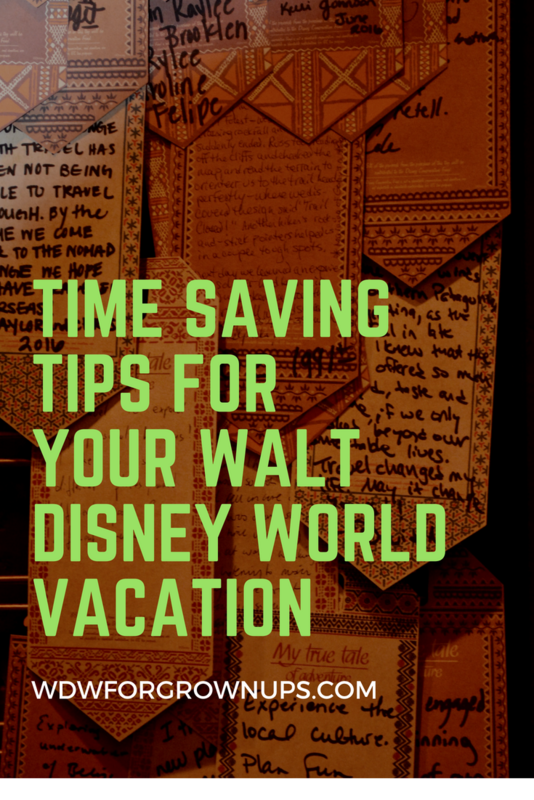 Do you have time saving tips for Walt Disney World? Leave a comment below and tell me how you pack as much as possible into your days! My best time saving tip is to move with2 hours of Disney and go as often as possible. Problem solved! Hahaha. We've found the online check in is a great time saver, we usually go left, and we're all about FPs on the fly while in the park. We do park hop a lot but we also always have a car, so it's not so much a reliance on Disney transportation. WE do plan out our morning park but keep the afternoon and evening pretty flexible depending on weather, crowds and if I can score any hard to get FPs after the morning ones are complete. I want to try the mobile ordering at Cosmic Rays next time we go - we always get behind the people that cant figure out what they want. The go left is linked with the side of the road we drive on.